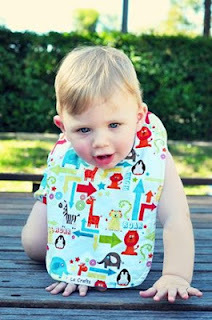 Our second prize in the Giveaway Bonanza is two custom made medium sized waterproof bibs by LA Crafts. LA Crafts is your one stop shop for expectant mums, new born babies and children. 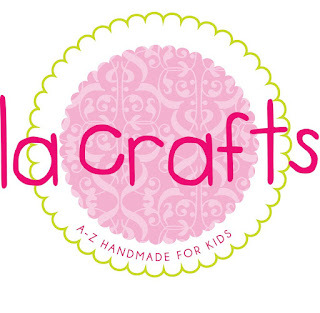 LA Crafts offers quality handmade clothing for boys and girls. They also cater for expectant mums and new babies by offering lots of different accessories to make your lives easier. Features: Two waterproof medium sized bibs in winners choice of fabrics (find a huge range listed on Facebook here). Valued at $19 including tracked postage. Love the red, white and navy skirt! My 2.5yo son would love the Construction Shorts! Red , Blue & White Desire Tree Pinafore - totally cute for any little miss and great to wear through out the year. The Gainesville dress is so very cute!! The Red Christmas Candy Bib is really cute! The Gnomesville Lucy Dress is too cute for words!! Gnomesville Lucy Dress so Cute!! Christmas Pretty Bird Gypsy Dress is my favourite.